Every day, we make decisions about the games we will play and the things we will try to do in them. These days, I’m trying to make choices that are smarter, which I hope is the correct way to classify my decision to only try the jump-rope challenge in Super Mario Odyssey once. 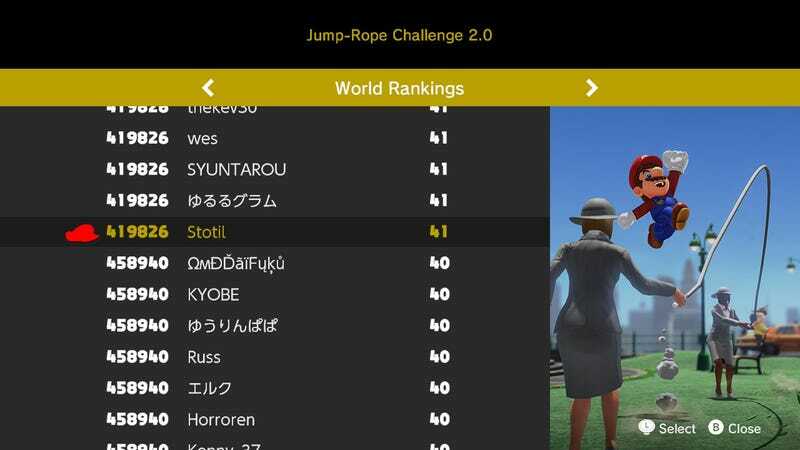 I only reached the Switch game’s jump rope challenge yesterday, as I returned to Mario Odyssey after several months of neglect. I like the game, but I’ve been busy playing other stuff. It was a Sunday afternoon. My kids were napping. I’d recently reached the so-called bad ending of Hollow Knight—35 hours in, 76% completion—and was considering playing more of that (another choice!) but took a break to go back to Mario. I’d forgotten where I was in Odyssey. Loading it up, Mario was just arriving at New Donk City, the weird urban level where our hero interacts with somewhat normal-looking people. Two of these people hold ends of a jump rope that Mario can jump. I’d heard about this. I’d even read about people cheating their way to the top of the leaderboards. I walked Mario over to the rope and started jumping. We jumped and jumped and jumped. At some point, a power moon popped into the scene. We’d jumped enough to get a prize. The jump-rope challenge is classic video games... It’s just not for me. At 41 jumps, Mario tripped. I grabbed the moon and checked the leaderboard: 419,826th place. I shared the honor with several other players, including people named TheKev30 and Wes. I was better than folks named Horroren and KYOBE. That was good enough company for me. I moved on to other challenges in New Donk City. There’s more fun things to do in this game, I figured. Soon enough, as I was bouncing off awnings, rocketing to the clouds and playing a variation of a classic Nintendo game upside down, my theory had been confirmed. I’ve advanced through two more kingdoms and while there are some moons I plan to eventually backtrack to get, the second jump rope reward one won’t be one of them. The jump-rope challenge is classic video games: it takes a basic interaction and asks players to practice until they can do it exceedingly well. It’s a distillation of the push toward reflex improvement that helps people who repeatedly play the same game to excel at it. It’s just not for me. 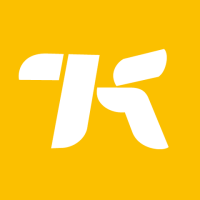 I appreciate those who obsess on one game and develop such skills, but I remain a grazer, someone who moves on to the next challenge and the next game. I develop my gaming skills through the exploration of new realms, challenges and adventures, within single games and across a library of them. I sometimes worry that this means I’m missing out on the pleasures of mastering a game. I seldom know the feeling of having elite skills, because I don’t take the time to hone them. This is, nonetheless, my choice. As a dad, as a person with a full-time job and as someone who loves playing a lot of games, I just can’t make time to jump a rope in a video game more than once.